Parseq has won Best Finance and Accounts Outsourcing Team for its work with SABMiller, one of the world’s largest brewers, in the 2014 National Outsourcing Association (NOA) Professional Outsourcing Awards. The rapidly growing BPO was brought in to reverse unacceptable debt levels at SABMiller’s subsidiary Miller Brands UK in 2006. Parseq’s credit management policy introduced Key Performance Indicators (KPIs), increased cash collections and reduced bad debt risk. In the first year debt was reduced by half, with Parseq posting better results every year since. In 2014, eight years into the relationship, it achieved its best ever results across all KPIs including debtor levels and debtor days. The Professional Outsourcing Awards recognise teams that add most value to their companies, their partners and the global outsourcing industry. The ceremony was held on September 4 at Shakespeare’s Globe theatre in London. In a client satisfaction survey this year on 25 Miller Brands representatives, 100 per cent of respondents rated the Parseq service as good or excellent. 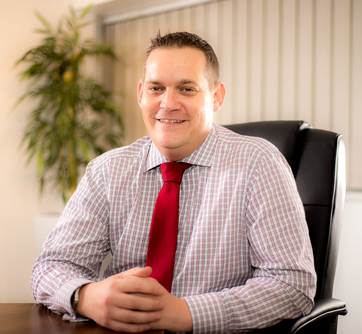 Parseq divisional managing director Craig Smith said: “When Parseq took on the account the main challenge was to align each credit controller to a specific sales sector, to provide a dedicated contact to improve communications and support customer relationship building. “It is these relationships, built over several years that have enabled us to consistently improve our results. Each year we continue to look for ways to improve our service, and these have included a bespoke reporting suite including a traffic light report by sector, National Account Manager League tables and month-on-month comparison tables. Parseq was also shortlisted as Outsourcing Service Provider of the Year by the NOA, which develops the outsourcing profession and industry though research, sharing information and paid services, and has 18,000 individual contacts.